Located at 4 Sackett Hill Road in Warren, Connecticut, is the Warren Congregational Church. Designed in the Federal style, it received a listing on the National Register of Historic Places in 1991. An examination of the church not only tells us much about architectural styles during the early 19th century but, more importantly, about the central role churches played in developing communities during this period in New England’s history. 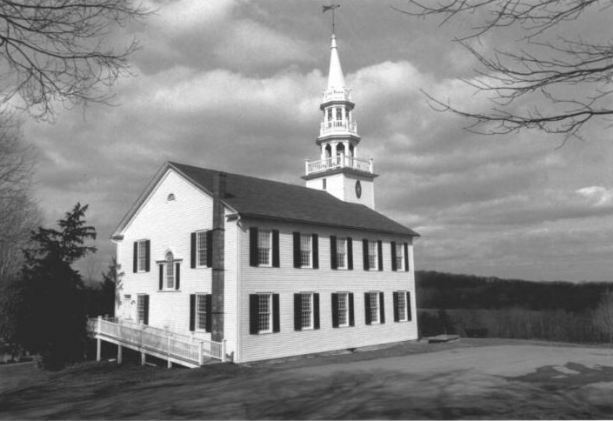 The Warren Congregational Church (built between 1818 and 1820) served as a replacement for the town’s previous church built in 1769. By 1800, this original structure had broken windows, a leaky roof, and “breaches” in its walls, causing local residents to sarcastically refer to it as “the Lord’s Barn.” While ongoing repairs kept the church in operation, the Warren Ecclesiastical Society (formed in 1750 when Warren was still a part of Kent) voted in 1815 to build a new church. 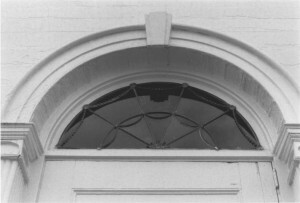 Construction began in 1818. Members of the church finished most of the work on their own, contracting out the bits and pieces requiring greater expertise to complete. By the following year, residents had a largely finished church, complete with 2 ½ stories, a gabled roof, and granite slab foundation. The church, designed in the Federal style, featured classical ornamentation and delicately curved shapes that broke from the plain, boxy church architecture of previous eras. Its elaborate steeple allowed for easy recognition from anywhere in town and represented a style typical of Congregational meeting houses built between 1800 and 1825. A large portion of Warren was Congregationalist and, consequently, the church played a vital role in community life during this time. It served as a host for town meetings, a center for volunteer work, and a popular location for social functions. Despite Connecticut disestablishing the Congregational Church as the state-supported religion in 1818, Congregationalism played a central part in the local community in the decades that followed. Today, the Warren Congregational Church continues to serve communities both in Connecticut and around the world. In addition to providing religious services for local residents, the church remains active in volunteer work. A specially designated beautification fund ensures the church does not fall into the dilapidated state of its predecessor, while other fundraising activities support families affected by natural disasters, provide educational opportunities for women, and support famine-relief efforts worldwide.